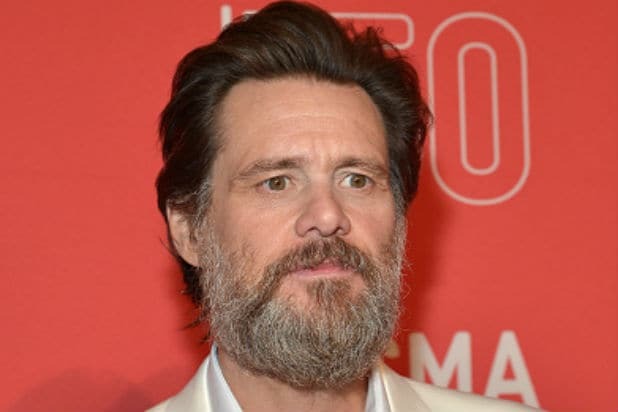 Look out, Brett Kavanaugh; Jim Carrey is taking you to the court of public opinion. Or at least in the court of Twitter opinion. Actor/artist Carrey unveiled his latest work on Monday, taking aim at Supreme Court nominee Brett Kavanaugh, whose path to the highest court in the land has been hobbled by an accusation that he assaulted a girl when they were in high school. In the work, a Kavanaugh-esque figure is depicted shirtless, holding his hand over another person’s mouth. A second man is depicted with a beer in hand, turned to the room’s door in an apparent lookout position. 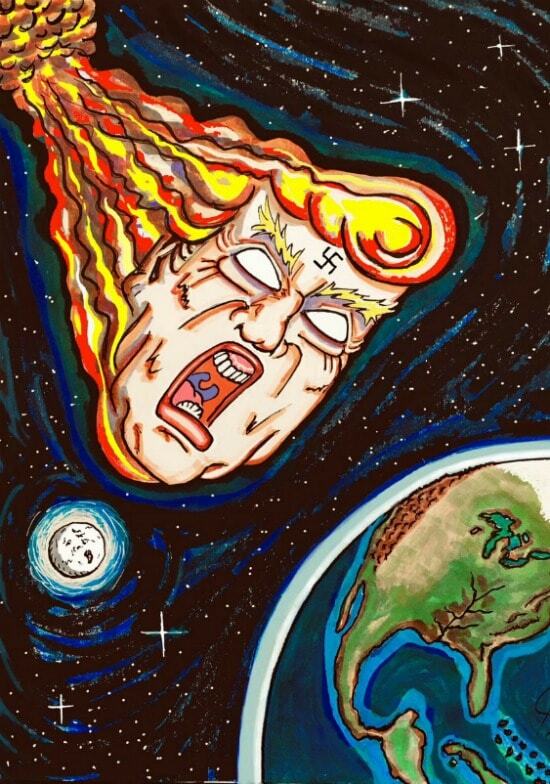 “Republicans always look out for each other,” Carrey wrote of the image. Kavanaugh is accused by Christine Blasey Ford, now a college professor, who alleges that during a party, Kavanaugh pushed her into a bedroom accompanied by a friend, Mark Judge, before trying to remove her clothing and putting his hand over her mouth to prevent her from screaming, CNN reported. Both Kavanaugh and Judge have denied the accusation. Ford will testify about her account next week, CNN noted. In the meantime, see Carrey’s take on the matter below.